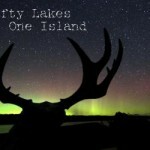 Highlight: In 2011, Chicago filmmaker George Desort spent eighty nights on Isle Royale, a wilderness island on Lake Superior. Traveling alone with his camera equipment and as much food as he could fit into his kayak, Desort explored the rugged terrain of the island, filming himself each difficult step of the way. Desort's breathtaking footage paired with his personal, unvarnished story-telling result in a film that will spur viewers to consider the significance of wilderness to our sense of identity and experience of the world.